The Ayo glasses are something totally new for me. I’ve never tried this type of product before so I was a bit sceptical. Does giving out blue light to your eyes actually do something? It sounded so futuristic and weird: most of all, it sounded unrealistic. That’s until I tried these. I’ve worn the Ayo Glasses every morning for the past month for 20 minutes when driving to work. You can still do everything and see everything when wearing these, so you almost don’t notice them. When I put these on for the first time, I immediately felt a slight boost in happiness and vitality. The blue light mimics sunlight and if you ever go outside when the sun is out, you’ll notice the instant happiness and extra energy when the sun is shining on your face. That’s practically the same with the Ayo Glasses. No, you’re not going to get a tan from these, but you will feel a boost when you put them on. However, this only works for people who don’t have a lot of energy or need a boost when they had a bad night. If you’re already a very energetic person, this might not really make a difference. However, you could use it when you go travelling to avoid a jet lag or to change your sleep schedule. Overall, this was a very – unexpected – enjoyable experience. I didn’t know this would actually do something, besides shining some weird blue light in my eyes. It gave me more energy when I started the day and I actually felt the difference when I didn’t wear them for a day. My energy level peaked for about 2 hours after I used these for 20 minutes in the morning. I’d say if you have 300$ to spend on something to give you more energy, this might be your best shot! 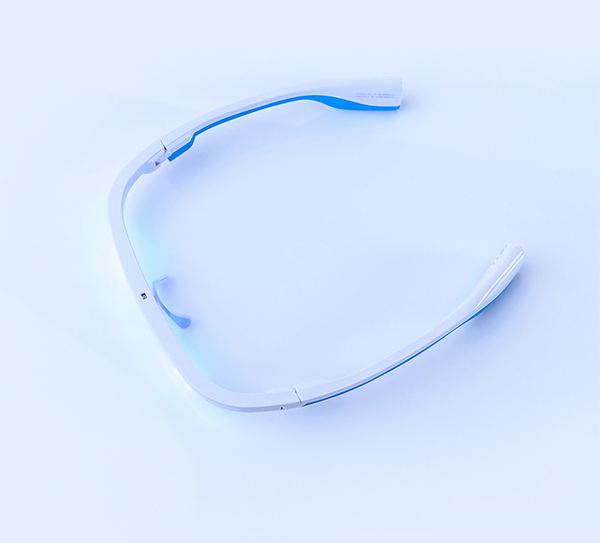 You can find the Ayo Wearable glasses here. Oh btw: I have not been paid to say these things, I came to this conclusion after testing the Ayo Glasses for about a month and reading about the dangers of the blue light etc. Check out my full review in the video on this article!